Ukraine's national football team, after a successful start in the UEFA Nations League, has climbed six positions in the monthly FIFA ranking. This is the best indicator among all football teams of the world. Belgium and current champions France share the first place in the ranking. Brazil is third, and vice-champions Croatia are fourth. Uruguay is fifth, England sixth, Portugal seventh, Switzerland eighth, Spain ninth, and Denmark tenth. Ukraine's opponents in the Nations League group Slovakia are 26th and the Czech Republic 47th. 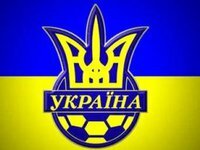 In early September, Ukraine beat the Czech Republic 2-1 and Slovakia 1-0 in the Nations League.